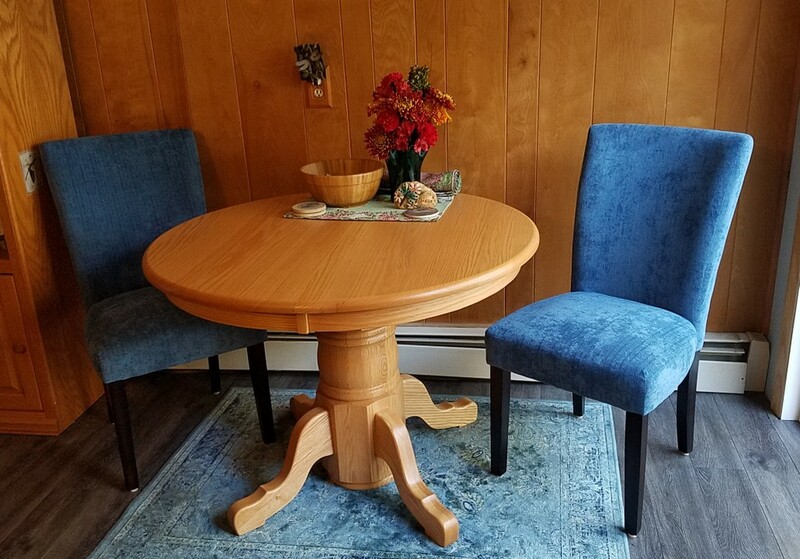 Up in Michigan, our customer, Ewanah, mixed and matched this Double Pedestal Dining Room Set, starting with a Double Pedestal Table. 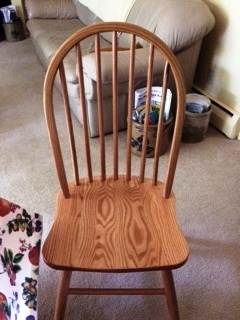 Then she rounded it out with six Bent Paddle Dining Chairs. 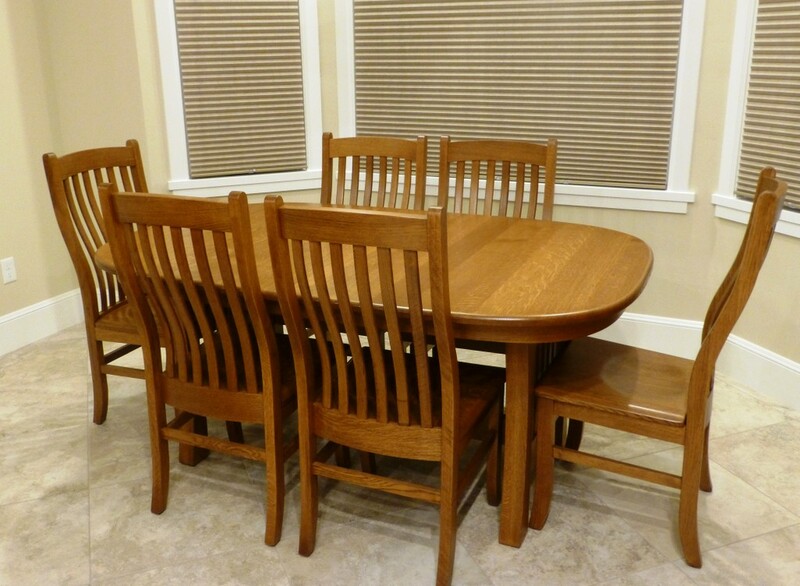 The four side chairs and two arm chairs are a perfect fit for the 42” by 60” oval table. 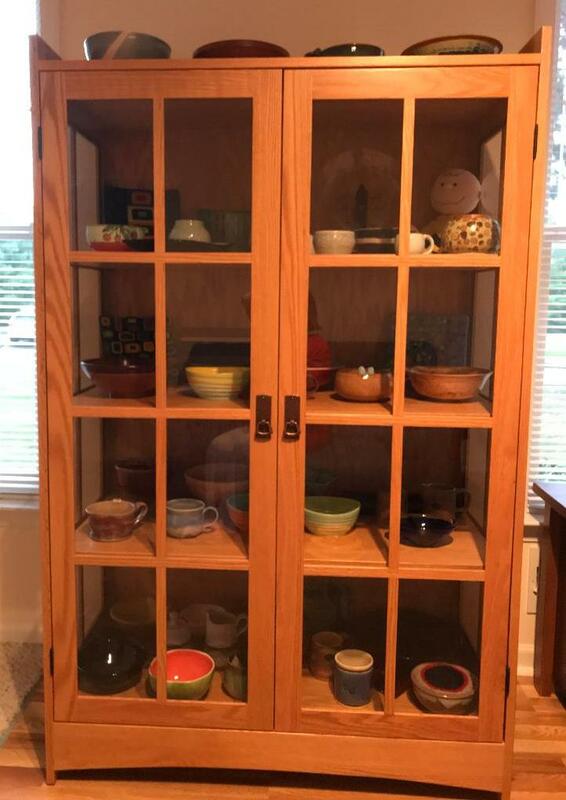 Finally, she topped it all off with a LaGrange 3 Door Hutch. Natural finish lets the oak woodgrain shine through. 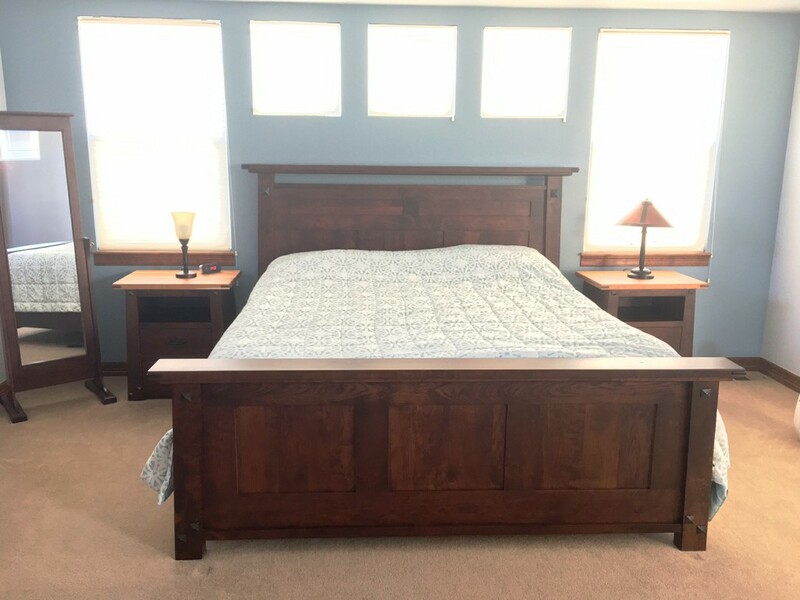 Mark and Janel are in love with their new Encada Bedroom Set in rustic cherry with Burnt Umber stain. The color adds warmth to their relaxed bedroom design. 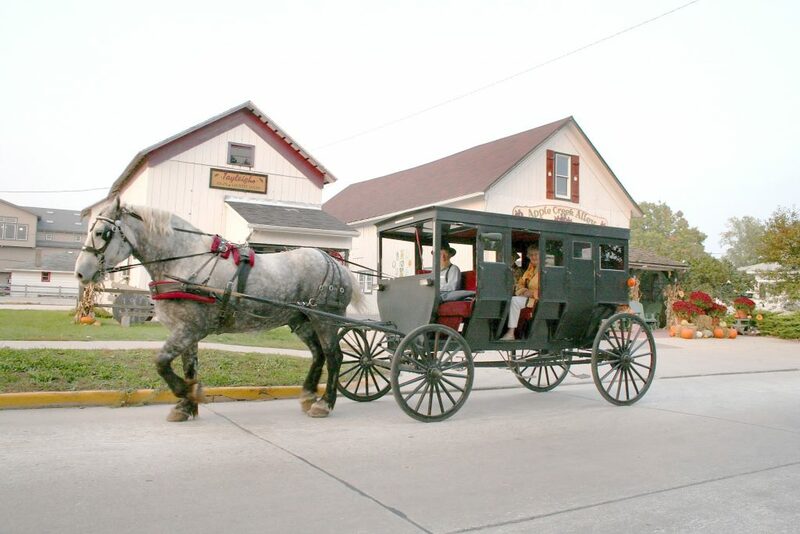 Thank you for sharing the cookbook – the Amish friendship bread/starter is something that I am going to make soon! 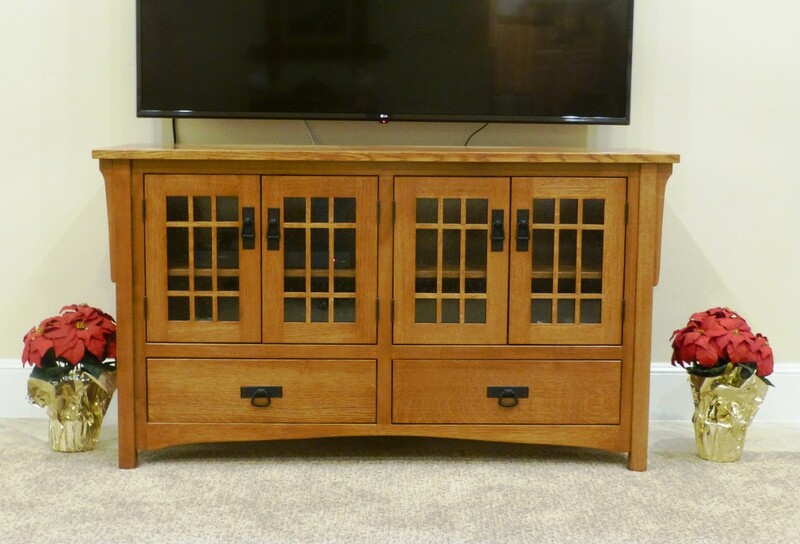 Attached are pictures of the furniture that we purchased last year. We absolutely love the furniture! It is beautiful and the quality is outstanding. It is worth the wait! And it’s a good thing this is quality furniture, because their order kept getting bigger and bigger. When they decided they wanted furniture to match their Encada Bed, they switched to the set. 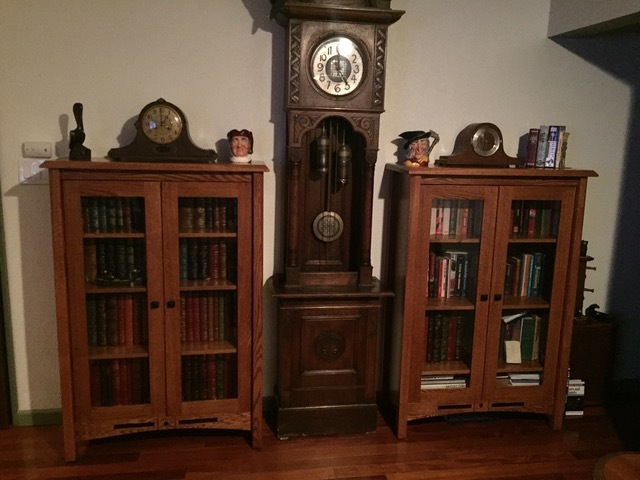 Then they chose two night stands and a ten-drawer dresser. 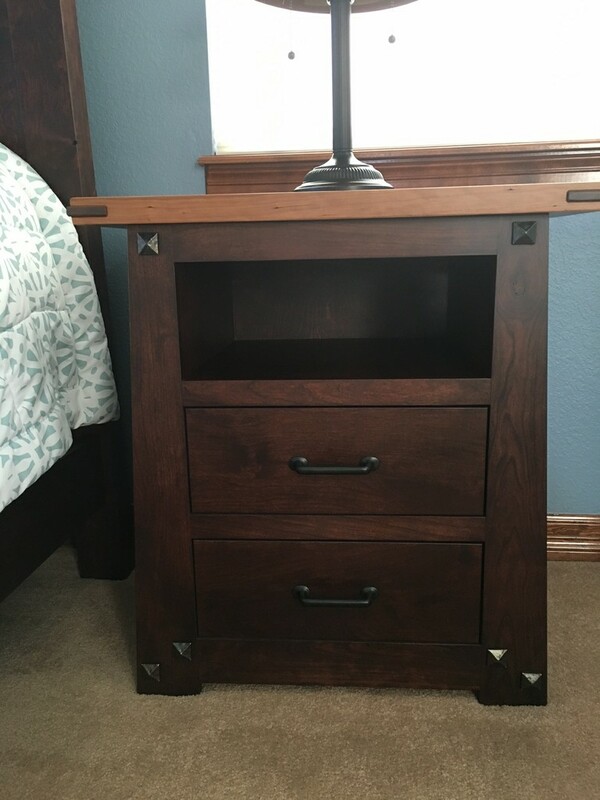 To create the perfect night stand, they switched the standard model for the Encada 3 Drawer Night Stand and had the top drawer customized into a cubby. 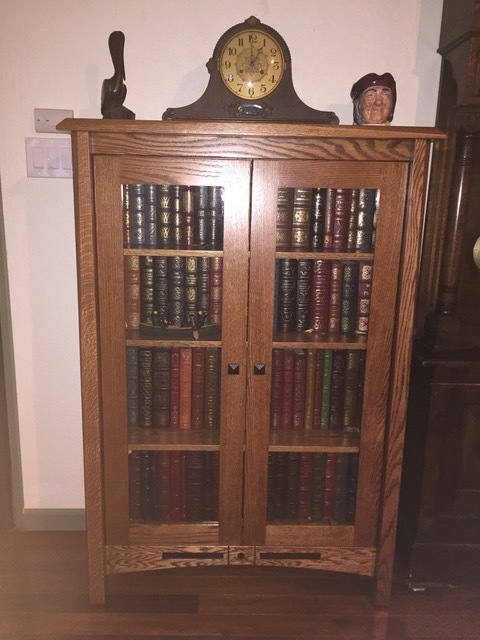 Here is a close-up of one of the night stands. 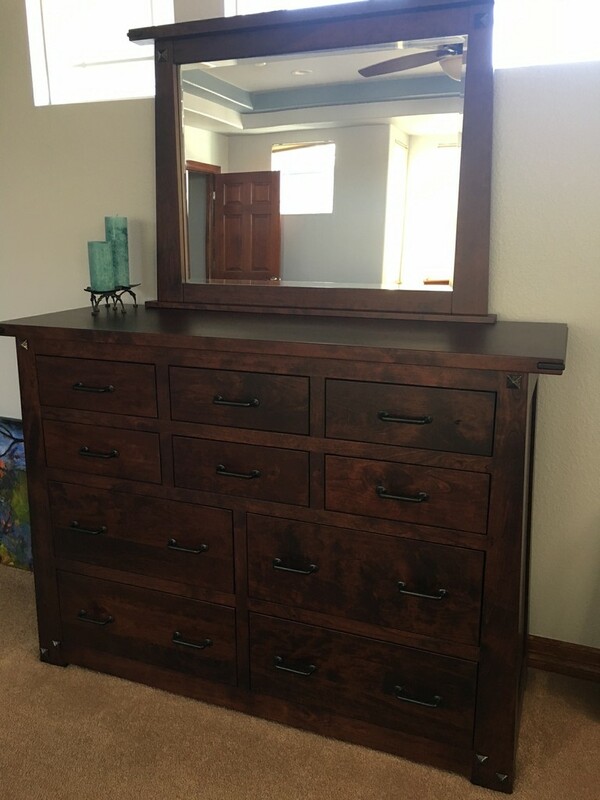 They had the ten-drawer dresser customized from the nine-drawer dresser that is normally available, just by giving us a call. But Janel and Mark didn’t stop with the bedroom. 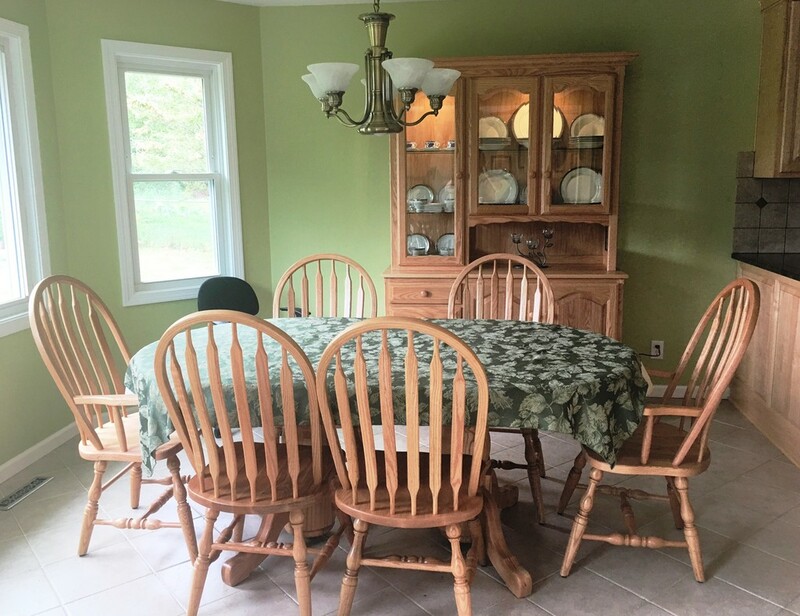 They also furnished two dining rooms in Amish Furniture. 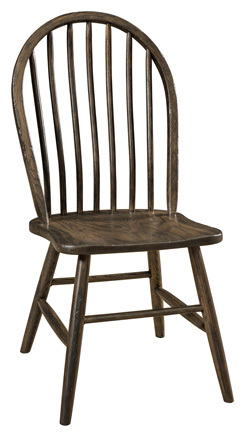 First, they put together a dining set consisting of the Colebrook Trestle Dining Table and Colebrook Dining Chairs. 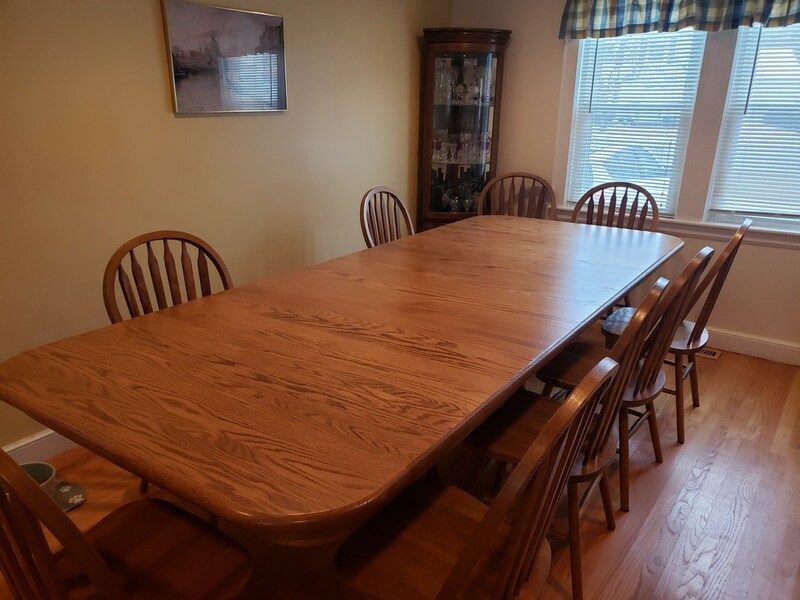 Hickory wood with Classic Mission stain creates a natural look for the dining room’s eclectic decor. 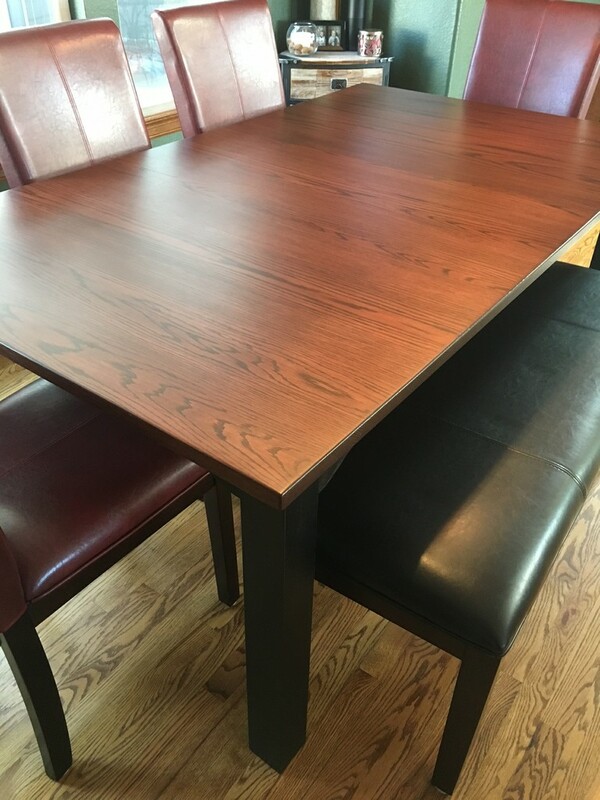 Finally, they got a Bellingham Legged Dining Table with two-tone stain. To finish the top in Acres and the base in Ebony, they spoke with us on the phone. 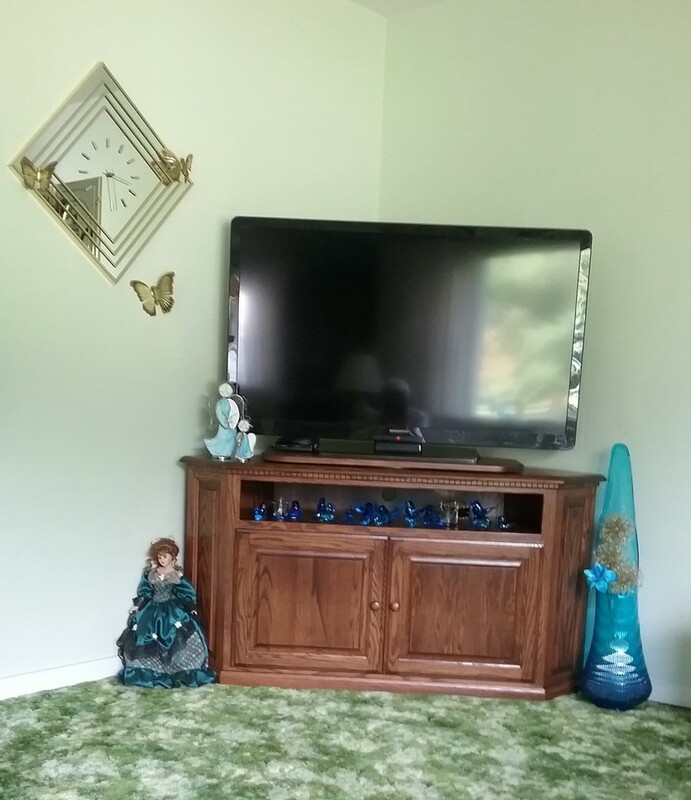 It’s a beautiful household full of beautiful wood furniture. Hold on. We’ve got a glamor shot coming in from Georgia. 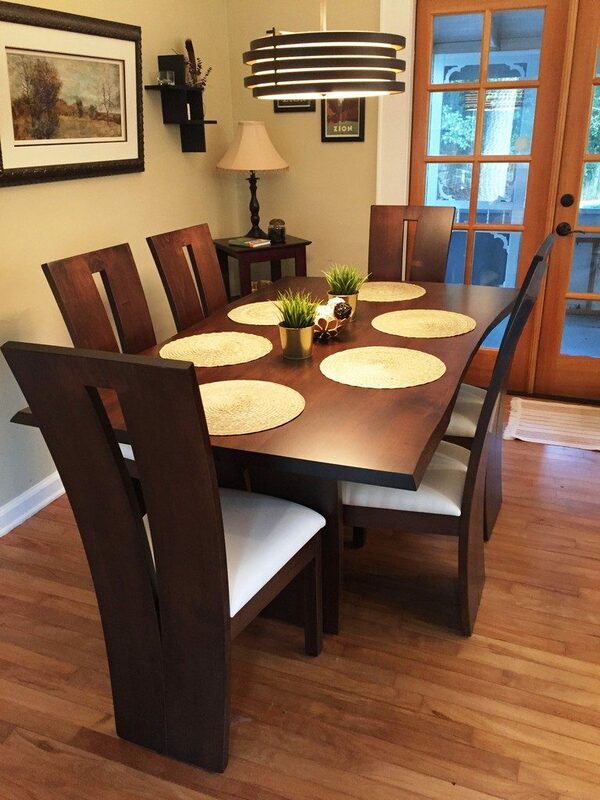 Juliet’s very modern dining set consists of a Delphi Trestle Table with a live edge and Coffee stain. The Delphi Chairs are upholstered in an ultra leather color called Ermine. 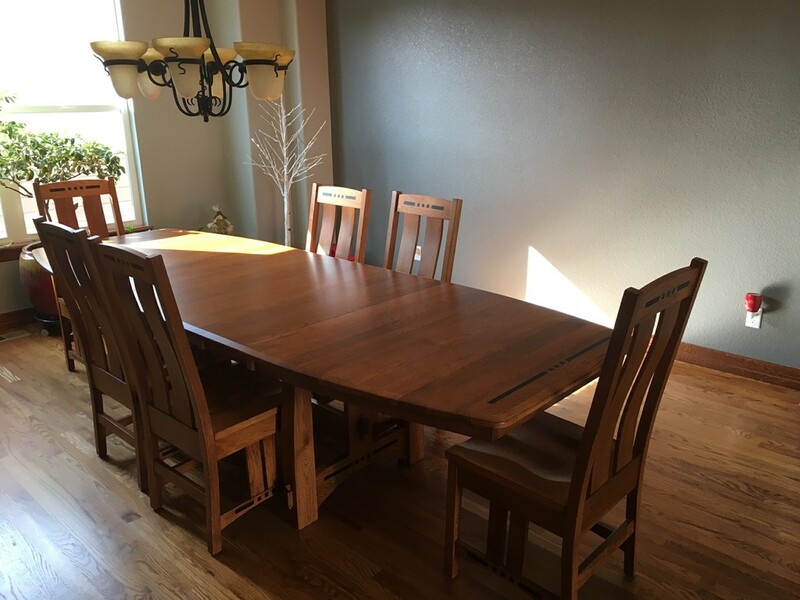 “My experience with Amish Furniture Factory was phenomenal and I absolutely adore my new dining room set! It is everything I hoped it would be! 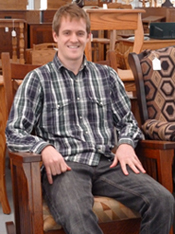 “It can be difficult to take the leap of faith that is required to purchase furniture online. However, Laura provided wonderful customer service throughout the process. She sent me wood samples a few different times as well as a large number of fabric and leather samples. She was always professional, prompt and honest when she answered my questions (which were many) and that helped to ease my mind considerably. The table and chairs are so beautiful, well-constructed and comfortable.